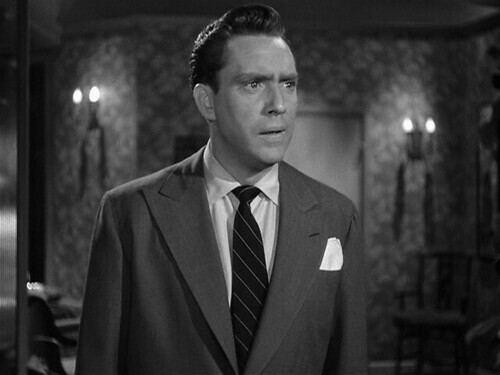 Edmond O’Brien (September 10, 1915 – May 9, 1985) would have turned 100 today. I’ve seen him in 39 movies and a handful of TV episodes. He won an Oscar for Best Supporting Actor in THE BAREFOOT CONTESSA (1954) and was nominated in the same category for SEVEN DAYS IN MAY (1964). He acted in Hollywood for 35 years (1939-1974), becoming one of America’s most distinguished character actors, but also having a nice run as a leading man for close to a decade following World War II. He played in a lot of westerns and crime movies during this period and those are the films of his that interest me the most.